Companies, such as Tinning Straws, are manufacturing edible products in a bid to reduce plastic packaging. After years of bagging our groceries, storing leftovers in plastic containers and drinking water from plastic bottles, consumers are moving away from this convenient, but difficult-to-compost compound. Even the Queen is not amused; she recently banned bottles and straws from Buckingham Palace and Balmoral Castle (as well as her 10 other royal homes). Spurred on by a shift in the world’s eco-consciousness, savvy entrepreneurs are beginning to offer sustainable options that tick off all the right boxes, making available containers and packaging that are marine-degradable, compostable, organic – and edible. Soon, you might eat your burger and its wrapper, too, sip an iced latte through a seaweed straw and get your water fix from a transparent capsule that looks suspiciously like the detergent pods we throw into the washing machine. 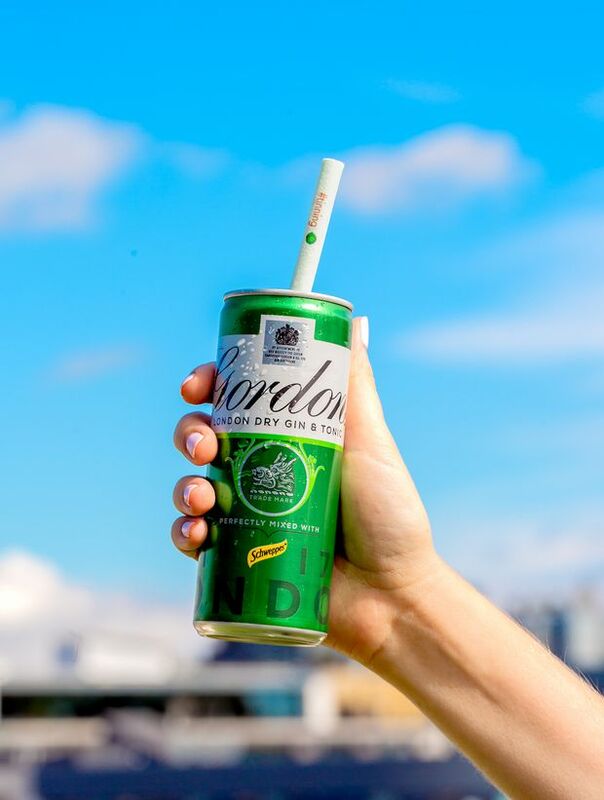 Last spring, liquor giant Pernod Ricard announced “the straw of the future” made out of seaweed, organic sweeteners and colours derived from fruits and vegetables. Its British rival Diageo jumped on the bandwagon, too, offering edible straws to purchasers of its premixed canned drinks such as Pimm’s & Lemonade (with a strawberry straw), or Bailey’s & Iced Coffee Latte (with chocolate). Candy Cutlery, a company based in Newmarket, Ont., makes edible candy spoons. Two entrepreneurs from Indonesia raised eyebrows with their startup Evoware, which sells sandwich wrappers made of edible seaweed. Closer to home, fans of Ontario’s Kawartha Dairy’s ice-cream can eat Death by Chocolate and Moose Tracks with edible spoons from Markham’s Candy Cutlery. A hit with customers when they launched in three Kawartha Dairy stores this summer, the novelty of the $1 candy spoons soon levelled off, says Phil Chowen, head of retail. Still, the 81-year-old dairy sold enough of them that they plan to offer them in all 10 Kawartha Dairy locations when “scooping season” resumes next spring. And as for the water orbs, called Ooho (pronounced Yoohoo), they are the brainchild of Skipping Rocks Lab of Britain. Made out of brown algae, they serve up one large gulp at a time – a combination that could be a hard sell. Still, he applauds those who are building eco-friendly credentials. “Perhaps outrage over the mess plastics have made of our oceans and natural habitats will finally push people to take a bigger bite out of this innovative new market,” he says.